Of course, I've always wanted a wonderful Eastern Contax S, but also a Western Contaflex. Some weeks ago I've found at ebay a wonderful Pentacon FB, the export version of the Contax FB, for little money and bought it. It was just the body and the original leather case. 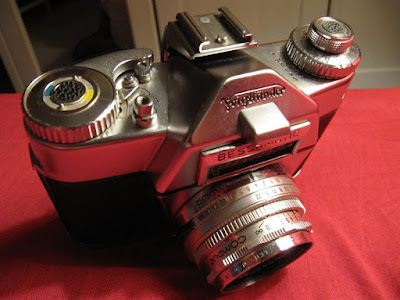 I attached a Schacht Edixa-Travenar-A 2.8/50mm to it. Okay, it is a West German lens and originally made for a Edixa SLR, but the Pentacon and Praktica export versions often gained lenses from West German manufacturers like Isco, Steinheil, Enna and Schacht. Therefore it is almost historically correct. Two weeks later I also found at ebay a Contaflex Super B with the original leather case and original lens hood for little money, too. 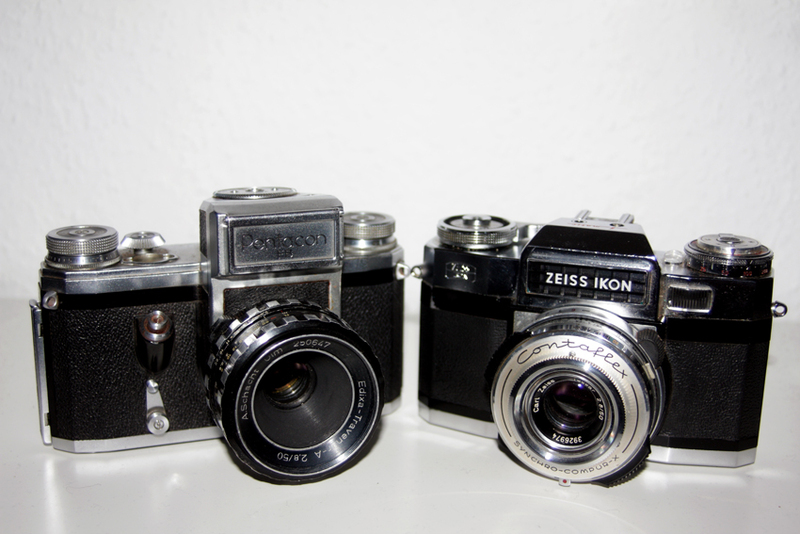 Both cameras are single lens reflex cameras, but there is a big difference. The Contax/Pentacon has like allmost all 35mm SLRs and DSLRs a focal-plane shutter. But the Contaflex has like many (view)finder cameras and the Medium Format SLRs a leaf shutter. 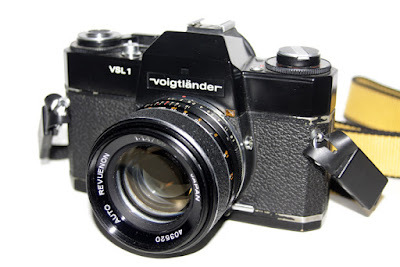 A leaf shutter in a 35mm SLR was very complicated to make and only a few manufacturers like Agfa, Kodak Germany, Voigtländer, Aires, Kowa, Mamiya and of course Zeiss Ikon made them, but also Pentacon.